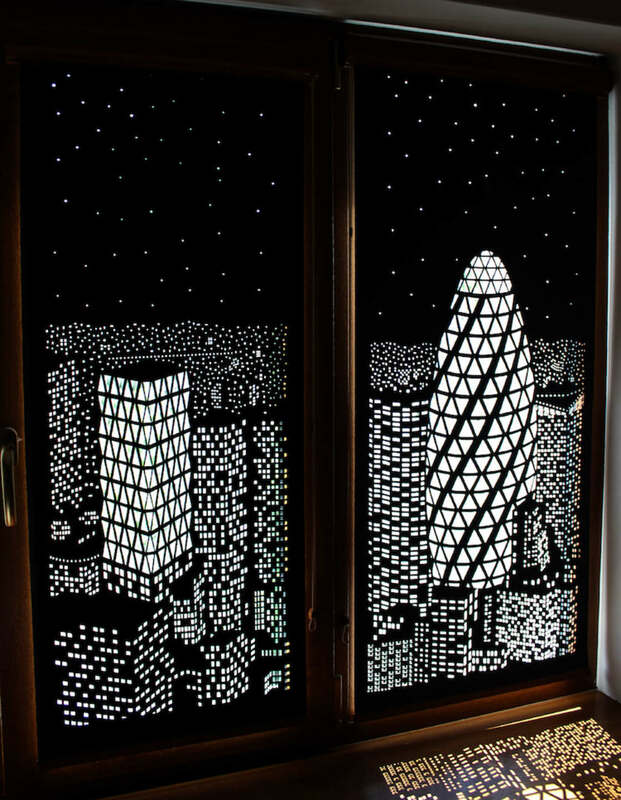 The Ukrainian design studio HoleRoll created these amazing cut-out curtains which can transform any home into a city penthouse . 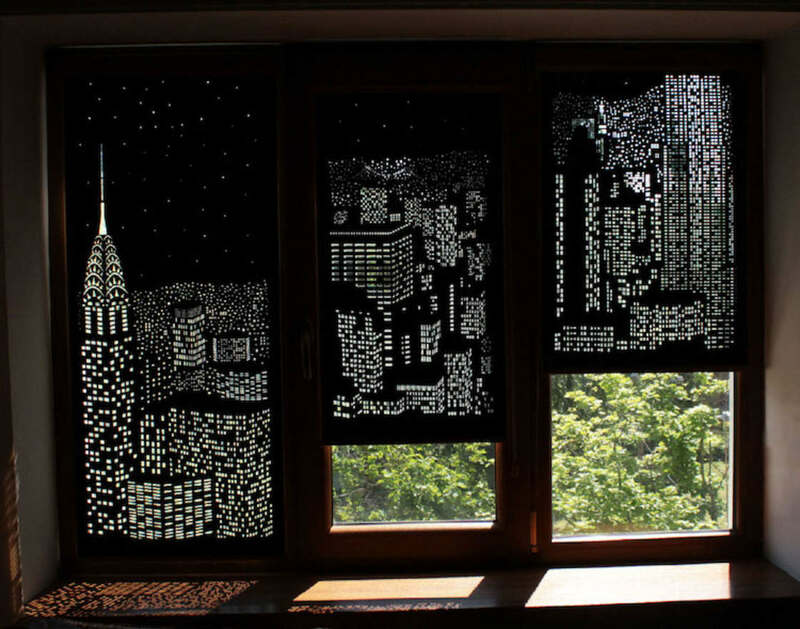 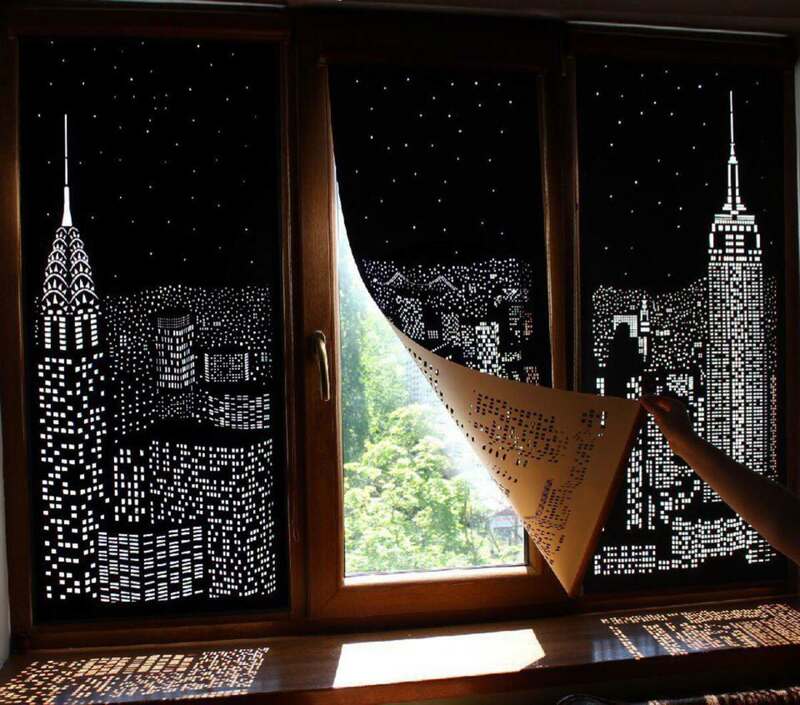 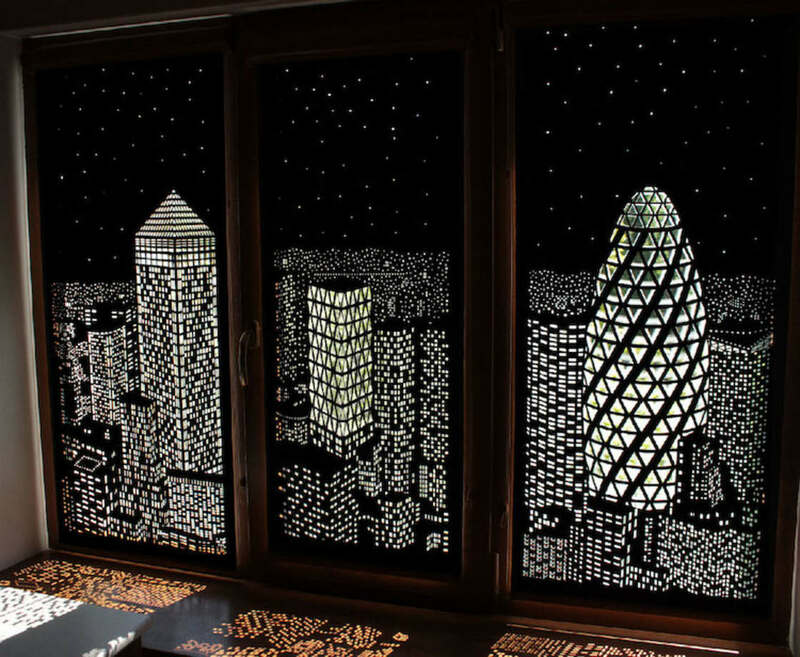 The curtains are in black felt and can turn any window into a view of London or New York. 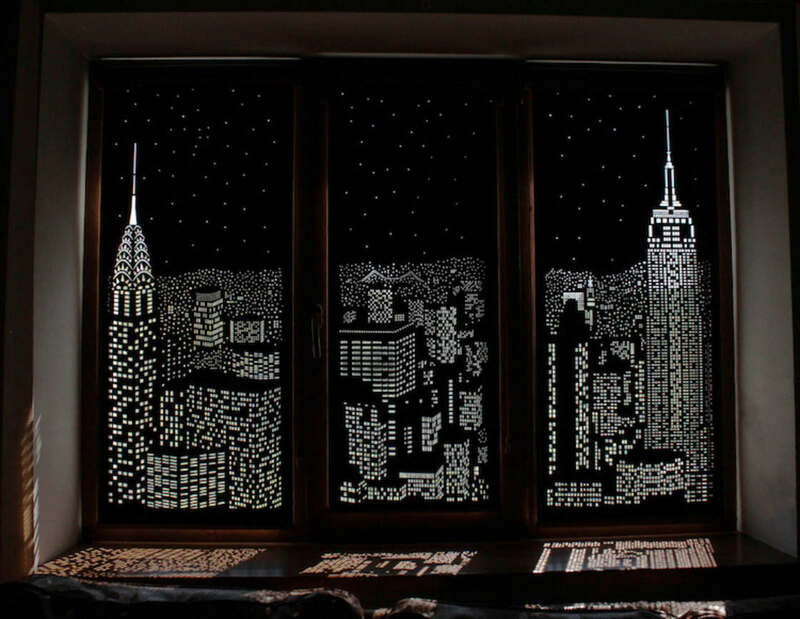 A clever use of light and negative space.